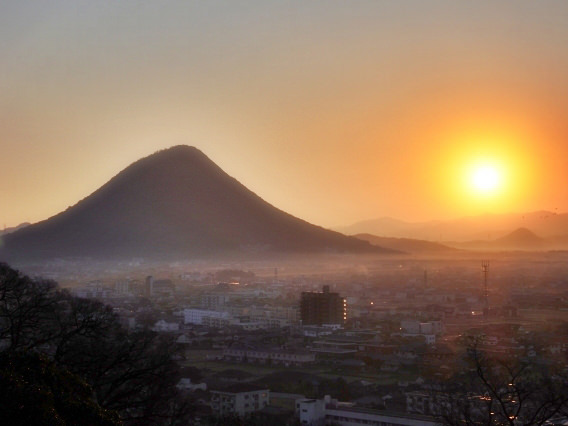 Sanuki Fuji is another name of Mount Iino in Kagawa Prefecture in Shikoku region (refer to #141). 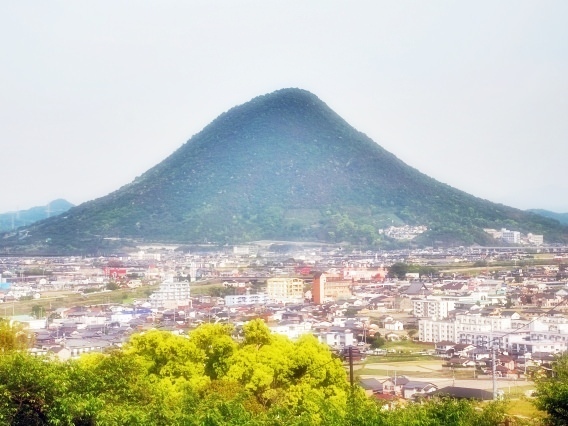 It is an independent mountain and has a beautiful shape like Mount Fuji (refer to #095), the most famous and the most popular mountain in Japan. Japanese people often call Mount-Fuji-like beautiful mountains by the name of Fuji with a place name. Sanuki (refer to #304) is an ancient name of Kagawa, so Sanuki Fuji means a mountain like Mount Fuji in Sanuki.